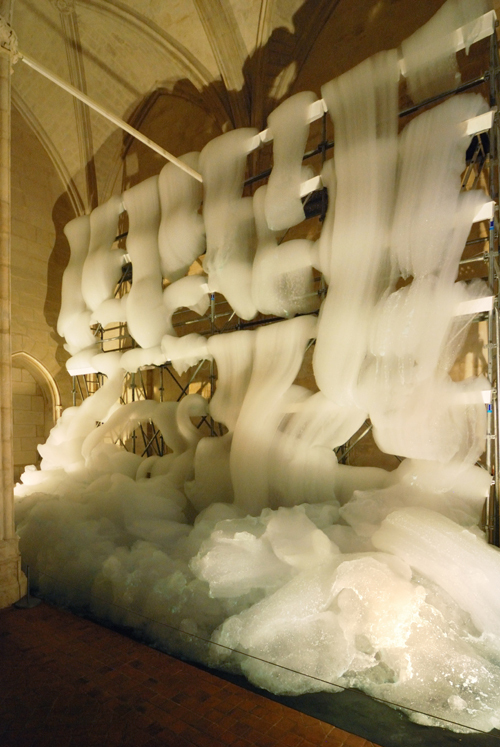 French conceptual artist Michel Blazy makes rare use of white foam. His latest installation called »Bouquet Final« was located inside a 13th century monastery near the Jardin des Plantes in Paris. This free-flowing, floodable substance was bubbling a collection of amazing cloud formations into the classic architecture of the building in an impressive way. 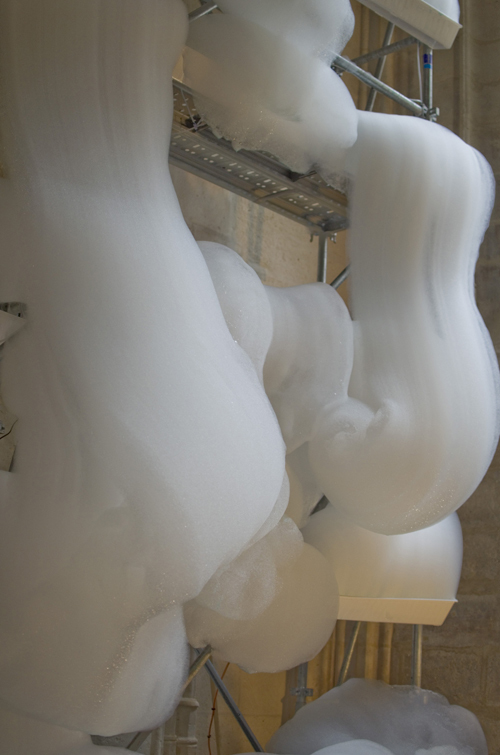 The foam was produced by a generator from behind the installation. For more examples of Blazy’s work, visit his gallery. Beware: installation is not suitable for foam parties.